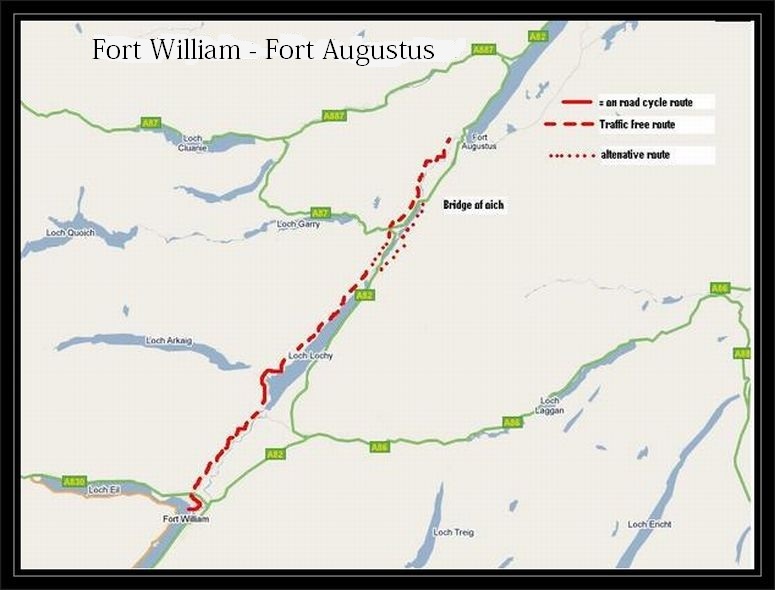 Fort William to Fort Augustus along The Great Glen Way – Caledonian Canal. 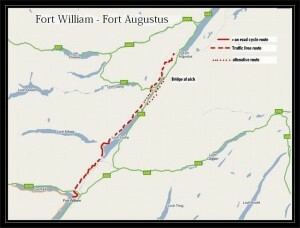 route from Fort Willaim to Fort Augustus along the Great Glen Way which runs alongside the Caledonian Canal. On route the Great Glen Way skirts the shores of Loch Linnie to Corpach just outside Fort William and runs along the Caledonian Canal. The route passes various canal features until Loch Lochy where forest tracks take it along the western shore before rejoining the canal at Laggan Locks. The route is flat and fairly easy but remember it is 32 miles. You can hire cycles at Fort William from Nevis Cycles, Lochy Road, Fort William near to the start of the cycle route. A significant part of this route is along canal towpaths and on some canal towpaths in the UK you may require a permit to cycle them. You can download YOUR FREE PERMIT from our homepage. Just click on the link to Waterscape.com near the bottom of the page. The Caledonian Canal was Constructed by Thomas Telford and opened in 1822. 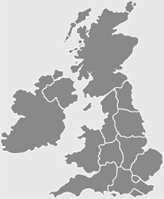 It joins the East and West coasts of Scotland over a total distance of 62 miles and has 29 locks, 4 aqueducts and 10 bridges. With some fantastic views and points of historical interest along its route. 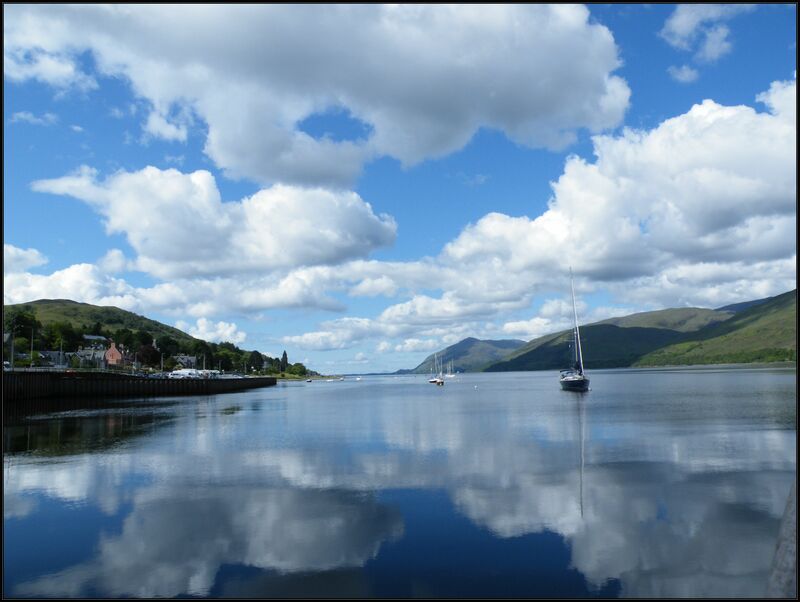 Fort William is the largest town in the highlands and second largest settlement behind the city of Inverness. Fort William is a major tourist centre with Glen Coe just to the south, and Glenfinnan. It is an important centre for outdoor activities such as hill walking, climbing and cycling with Ben Nevis very close to the town itself. Starting from Fort William Railway Station (terminus for the Harry Potter Steam Train) take the off road path situated behind the supermarket and follow the path out of Fort William. After a few hundred yards the path takes you across a small bridge over a small estuary. At the other side of the bridge you start to cycle along some quiet suburban roads. Once you’ve crossed the bridge TURN RIGHT along Abrach Road and after 200 yards TURN LEFT on to Earl of Inverness Road. After 100 yards TURN RIGHT by Nevis Cycles along Lochiel Road and cycle 300 yards to the end of Lochiel Road. At the end of Lochiel Road you come to a path straight ahead of you. Continue along the path and after 500 yards you pass the 13th century Inverlochy Castle on your right and the path takes you across a bridge over the river. On the other side of the bridge TURN LEFT along Kilmallie Road B8006 keeping to the cycle lanes. After about quarter of a mile TURN LEFT down Glenmallie Road and after 150 yards TURN RIGHT along Erracht Terrace and follow the road along until it takes you to the shore path. Continue along the shore path as it takes you around the small peninsula and after approximately the path takes you to Neptune’s Staircase, situated just after Banavie Railway Station. 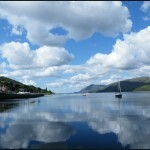 Along the shore path there are some fantastic views down Loch Linnie past Fort William. Neptune’s Staircase was built by Thomas Telford and is one of the biggest staircases in Britain. The lock comprises of eight locks on the Caledonian Canal. It is the longest staircase lock in the United Kingdom, and lifts boats 64 feet. The locks were originally hand-powered, but have been converted to hydraulic operation. The base plinths of the original capstans are still present, although the capstans themselves are now gone. It takes approx 1 hour 30 minutes for a boat to pass from one end of the staircase to the other, through the eight locks. At Neptune’s Staircase you keep to the right hand side of the locks and cycle along the eastern side of the canal along the towpath. Continue along the towpath as it follows the canal for six and a half miles where you come to the small village of Gairlochy. At Gairlochy the Caledonian Canal meets with Loch Lochy. At the centre of Gairlochy TURN LEFT onto the B8005 and cycle along the road for 4 miles to Clunes passing through Bunarkaig as the road takes you along the southern part of Loch Lochy. At Clunes you come to a ‘T’ junction. At the junction TURN RIGHT and follow the quiet road as it leads you down to the lochside and takes you along a forest road heading towards Laggan. Continue along the forest road alongside the loch for about four and a half miles and then you come to Laggan. At lagan you have a choice of routes. You can continue on the quiet roads on the north side of the canal which then takes you along a forest road and past Invergarry to Bridge of Oich, a total of 7 miles. Alternatively you can cross over the canal at lagan at the locks TURNING RIGHT THEN LEFT and follow the steep path up the hill through the trees. Near the top of the hill you come to a disused railway line . As you approach Invergarry on the other side of the loch you come to an old military road at Loch Oich and the road bends to the left at the end of the loch and takes you down to Bridge of Oich. This route can be muddy and rough in places and you encounter some farm gates along the way. A total of 6 miles. At the end of either route you arrive at The Bridge of Oich at the end of the loch near to Aberchalder. At The Bridge of Oich continue along the towpath on the left hand side of the canal which takes you past the lock and then takes you along the towpath for four and a half miles to Fort Augustus.